Finally! 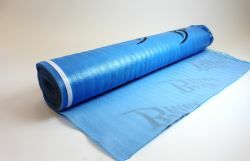 A Quality Underlayment at the Lowest Price. 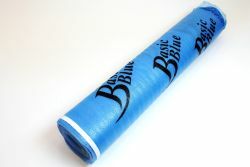 At the lowest price, Basic Blue is our most widely used underlayment for your laminate or engineered floor. Supporting all brands of floating floors, Basic Blue eliminates the need for a separate moisture barrier and protects from moisture vapor. Designed with a polyethylene foam to provide cushion between your floor and the subfloor. A reliable performer, Basic Blue is a cost effective solution for your floors. A great cushion. Odorless. Moisture protection. Basic Blue is scientifically designed for on, above and below grade installations.